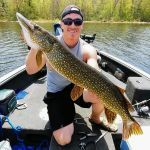 Hello, my name is Tom Leahy, licensed and fully insured fishing guide in the Hayward Lakes region of Northwest Wisconsin since 2009. 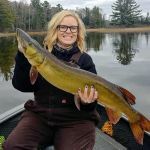 I grew up in Hayward, WI and have been fishing and hunting the surrounding area since childhood. I am also a proud Member of the Hayward Guide Service. 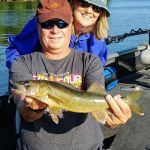 I am pleased to invite you on a guided fishing trip on one of our beautiful Hayward Area Lakes. 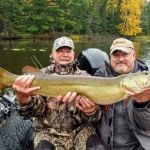 Whether you would like to learn new techniques, presentations or just explore a new lake, it is sure to be an educational and relaxing day on the water with TOM LEAHY's GUIDE SERVICE. Guided outings include: Bait, Gas, Fishing Gear, Life Vests, Rods, Tackle & 18.5' Lund Pro-Guide with 90 HP Merc. Guided trips also include Fish Cleaning & Packaging!! Deposit: $50.00 for Half-day, $100.00 for Full-day, non-refundable but transferable. 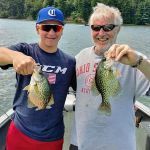 Tom Leahy's Guide Service provides a relaxing, informative and family fun ice fishing experience. 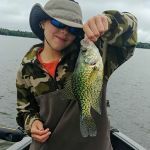 If you're looking to catch a mess of fish, learn some new techniques & tactics or just want to explore a new lake, contact Tom Leahy's Guide Service today. If you'd like to bring your own fishing rod and tackle box… that's no problem!